This team will really, really miss Mitch McGary as the season progresses. Against a team with a lot of size, a big body like McGary is extremely valuable, especially defensively. 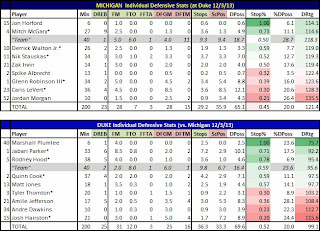 The numbers not only show McGary was tough to score against but it appears Duke stayed away from him on offense as McGary only forced 2.5 misses and allowed 1.3 makes out of 56 potential occurrences. As mentioned above, Caris LeVert had a bad game. I think LeVert has the length and athleticism to be one of the best defensive guards in the country. The problem is he gets himself out of position too often. In games where Michigan excels I guarantee LeVert will be a reason on the defensive side of the ball. When Michigan struggles chances are LeVert is having an off game. Another Plumlee? Yes, Duke's third of the three Plumlee brothers, Marshall Plumlee, had a pretty great game against Michigan. He's touted as having the most talent of the trio but he also might have the most needed growth to reach that potential. That being said, for playing six minutes it seemed like Plumlee played the game of his life. In those half dozen minutes Plumlee forced four misses - one being a monster block - and grabbed a defensive board. This doesn't include his two offensive rebounds. He gave Duke something it was lacking and it fueled the rest of the team. 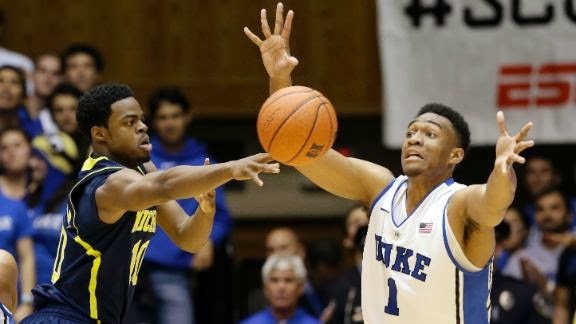 You will always remember the name Jabari Parker. 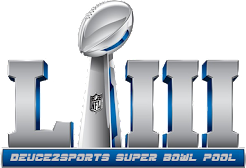 He's not just an offensive sensation, people, the guy is a tremendous athlete who actually takes pride on his defense. 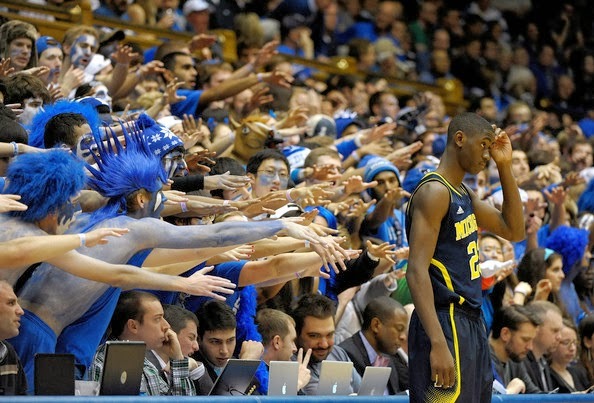 He was everywhere against Michigan, harassing Glenn Robinson III and other Wolverines all night. He forced 8.5 misses, by far the most in the game and had a team-high six defensive boards. 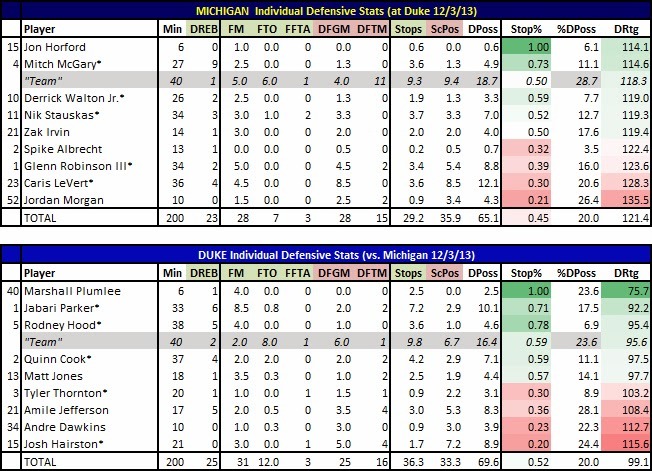 While Parker's offensive exploits will get much of the attention for Duke going forward it will always be worth noting that Parker's 1B contribution of defense isn't that far behind his offense (1A).